Video can help to promote your cause in a simple, direct and engaging way. But with literally thousands of video production companies out there, all promising to make films that will do you proud, how do you choose one? Getting it wrong could be an expensive mistake. Here are 10 questions to ask yourself before you make your choice. 1. Why do you want a video? Before you start to look for a production company, know your aim. Will the video launch a campaign, provide information about what you do, document a fundraising event, or is it a marketing tool? Consider who the audience will be – will it be posted to social media, shown at a conference, or sent out as a video news release? 2. Have you asked for recommendations? Seen a charity video you like? Ask them if they would recommend the producers. Also, do a basic online search and narrow yourself down to three different companies. 3. Are they a good fit? Looking at their websites, do they seem to match your values, ethos, organisational style and experience? 4. What’s their client base like? As a charity, it’s arguably advisable to work with a company which works regularly in the sector. Look at the films they’ve made before. Ask to see a show-reel. That’s not to say if they haven’t made a particular type of video before, you should dismiss them but don’t choose complete novices. When you tell them what you need, do they come up with ideas and options of how it might be produced? If the company expects you to come up with all the answers and ideas, avoid them. Not every idea will make it into the finished video, but choosing a creative team will help make sure the finished video is interesting and engaging. 7. Are they honest about what’s involved? How long do they estimate the production process will take? If they seem to be underestimating or overestimating, beware. The style of video will determine how long it will take to make. 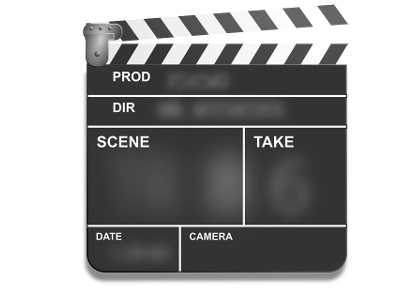 If it has graphics, or several filming locations, this will take longer than one with just a small script which can be filmed and edited in a day or two. For example, if you’re commissioning a film of a fundraising event which will simply be edited together to music, it should only take a couple of days to produce. A film with a presenter, a script and several locations may need several days pre-production, take two days to film, and three or four days of editing. 8. Have you got a clear brief? A clear brief is vital. It ensures you end up with the finished film you expect and it will avoid the project running out of control and costs spiralling. 9. Are you being realistic about the cost? In general, if you want a high quality video produced by an experienced team you’re going to pay more for it. However, a good production company should find ways to make it in the most cost-effective fashion. As before, a video with a detailed script and a lot of complex organisation before filming will take longer to produce, so will cost more than one where the production team can just turn up and shoot. 10. Do you like them? Does the company get your charity? Do you trust them? It’s important you feel safe in their hands. You’ll be talking to each other a lot so there needs to be a decent rapport. A good working relationship is key to the success of the final film. Join us at our Ingredients for a successful charity video seminar in March, free for CharityComms members. Ann runs Rough House Media, which provides expert media relations consultancy to the charitable, not for profit and public sector. Its services include strategic media advice, media and presentation training courses, video production and regular public relations support. Ann is a trained journalist who spent 25 years as a print reporter and TV producer, working at the BBC for 14 years.